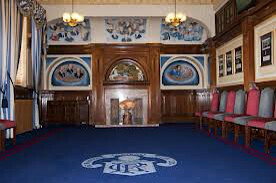 As the battle for the control of the Rangers boardroom continues unabated and as a seemingly endless amount of private emails and recorded conversations find their way into the public domain by virtue of modern social media, this particular Battle for the Blue Room is not the first the old lady of Edmiston Drive has been privy to behind her red-bricked facade. In a more innocent era, when 'social media' consisted of being invited out for a pint by a journalist, a power struggle of epic proportions took place between two of the clubs most important office bearers, Bill Struth and James Bowie. The result was to herald a revolution which was the first step on the long road which has led us to the crossroads at which we stand today. It was the summer of 1947. The League Flag, which was up for grabs 'officially' for the first time after WWII, was flying proudly over Ibrox for the 26th time. 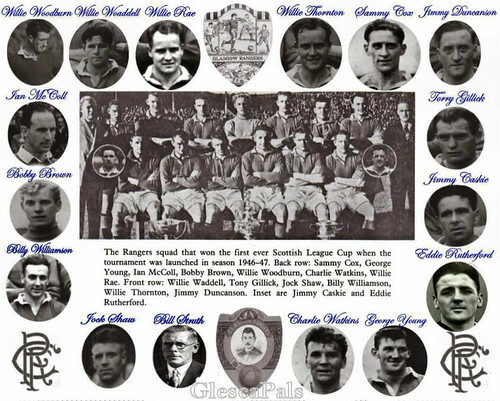 The inaugural League Cup was won after a 4-0 trouncing of Aberdeen at Hampden. The Iron Curtain had been draped over a Rangers goal that conceded only 34 goals in 43 games as the Rangers fans flocked to Ibrox in their tens of thousands to follow their team which had just delivered a 9th League Title in a row. All was Red, White and Blue in the garden of Rangers. That summer, those loyal fans had no reason to believe that all was not well within Ibrox. Jimmy Bowie, a Partick boy, had a distinguished career with Rangers for nearly 4 decades. Signed from Queen's Park in 1910, he was a first team regular for 12 years as a wing half. Making 384 appearances scoring 76 goals, he won 5 league titles. After his retirement in 1922, he became a director of the club in 1925 and played a part in the commissioning of the new Main Stand. At the Grand Opening of the Main Stand in 1929, he was to say, " This is our magnificent new main stand. It holds 10,000 and we could fill it ten times over with young boys who want to play for the Rangers." On the death of Chairman Duncan Graham in 1934, Bowie became Chairman himself, becoming the only man to serve the club in every capacity. A great servant to Rangers in every sense of the word, his Chairmanship lasted 13 years before a boardroom coup saw him deposed. 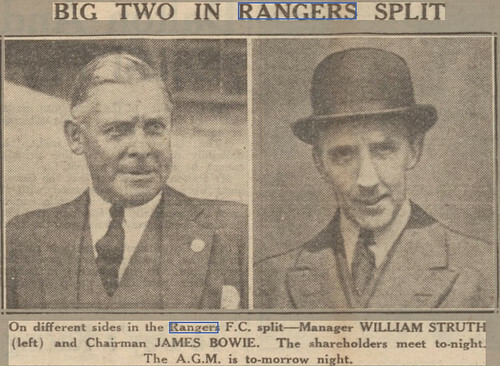 By that fateful summer in 1947, Bill Struth had been 'Rangers' for 27 years. A coach then manager, he set the standards for Rangers which we hold on to so dearly in the modern era. Unrivalled success and unsurpassed dignity set him apart from the rest. Despite playing the major part in defining The Rangers over such a long period of time, there was one role at Rangers which he was forbidden to take on. The Articles of Association of the club stated that, "No paid servant can become a Director" That was about to change. The fateful chain of events seem to have started in April 1947. Bowie suggested to Struth, who was by now 71, that he should give some thought to retiring. Bowie, himself 59, was due to retire in rotation at the clubs Annual Meeting in June and would offer himself for re-election in the routine manner. He indicated that Struth was showing signs of strain and should have an assistant who would succeed him, and that Struth could become a Director of the club. This would require a change in the Articles of Association. At a meeting on 15th May, those changes suggested by Bowie were made, which meant that there could be five directors instead of three, and that paid officials could at last become directors, on a board limited to five. The Directors were Alan Morton and George Brown, both, like Bowie, former players. This was said to be harmoniously agreed. Club Secretary W. Rogers Simpson and Struth would come aboard to make the complement up to five, which would be confirmed at the Summer Annual Meeting. But when shareholder John F. Wilson informed Bowie that he intended to challenge his Chairmanship and stand for election, clearly something would have to give. That something was Bowie. 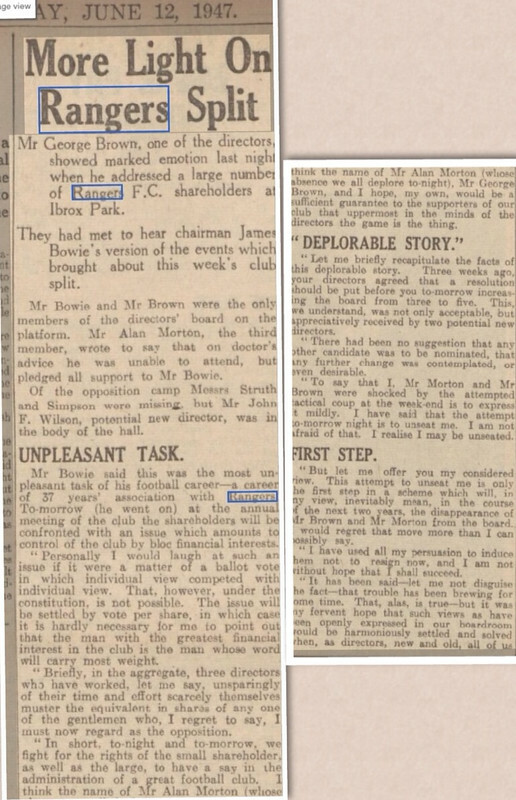 The board, made up of players Morton and Brown and still loyal to Bowie, issued a statement condemning this ploy, calling a shareholders meeting for the 11th June when an appeal was made for all shareholders to attend the next night at the Annual Meeting. The individuals present showed a majority in favour of Bowie, but a card vote demanded by secretary W. Rogers Simpson showed that the 'rebels' supporting John F. Wilson held the majority shareholding. The Annual Meeting the following night lasted fifteen minutes, the board was enlarged to five members as previously agreed, but Bowie was out. 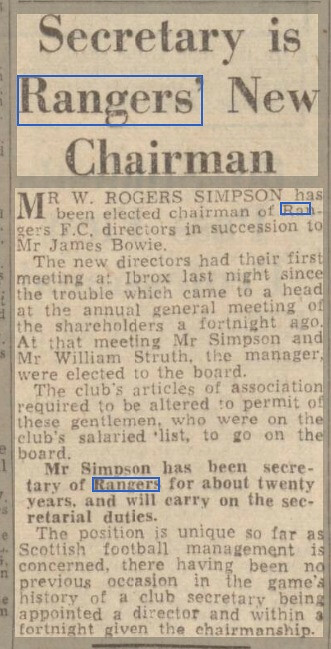 Within two weeks, Club Secretary W. Rogers Simpson was to become Chairman, only two weeks after becoming a director. Bowie had been outsmarted. His mistakes were in timing. 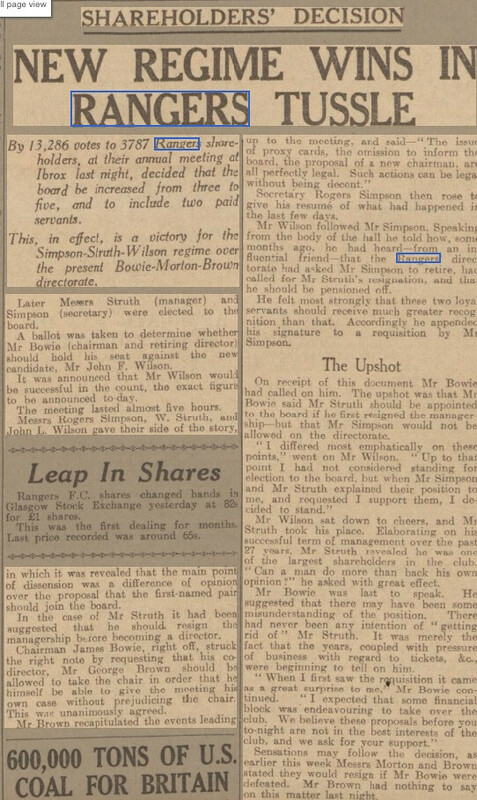 By suggesting retirement to manager Struth, two months before he himself was due for re-election, which clearly 'irked' Bill Struth, he gave Struth the initiative and time to recruit other major shareholders and oust James Bowie from the board and his Chairmanship. Bowie clearly was innocent regarding the power and intent of major individual shareholders. Jimmy Bowie, that great Rangers servant, never set foot in Ibrox again afte he was deposed. It seems even back then, boardroom affairs were being played out (albeit at a slower pace) in the rags of the day! Bill Struth emerged as the largest single shareholder. He had accumulated his holding of 1,097 shares and explained, not unreasonably, that they had been bought from his savings from his Ibrox salary. With 'Rangers Money' in other words. Struth became Director and Manager. So the power went to the big battalions. No longer would the board be made up of former players with a particular love for the club they had served. A watershed moment in the history of the club. Note how the Newspapers report on the Facts! Rangers was no longer a football club - it had become a commercial entity. 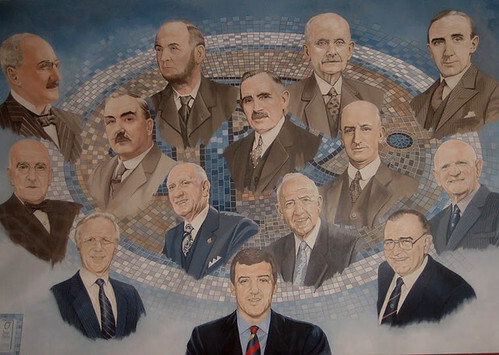 The revolution of 1947 was the first step that took Rangers along a road that led to ownership by the John Lawrence Construction Group in 1985, in 1988 to David Murray and in 2011 to Craig Whyte. The position we now find ourselves in has its roots in the Battle of the Blue Room in 1947. The fall out from then resonates into the modern era and has had a direct impact into the predicament the club finds itself in. Just as the football team went on to great success after that first battle was over, we can only hope that when the sound of this battle is over, we can look forward to the same successes.